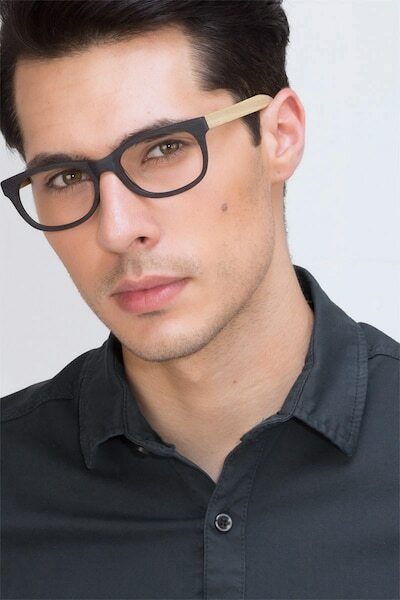 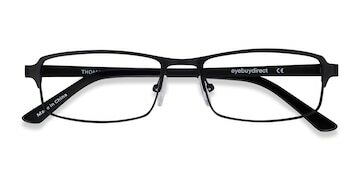 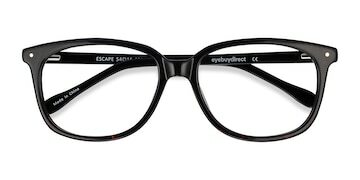 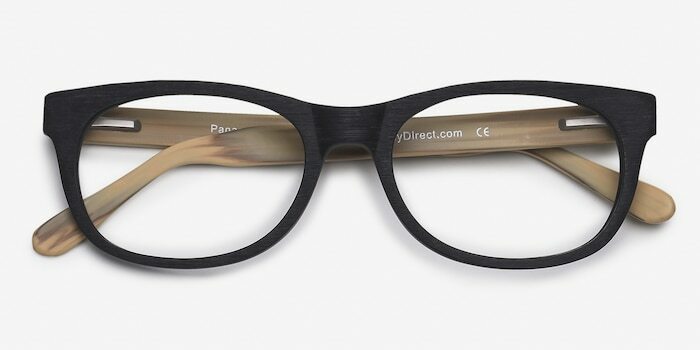 These black eyeglasses are organically intriguing. 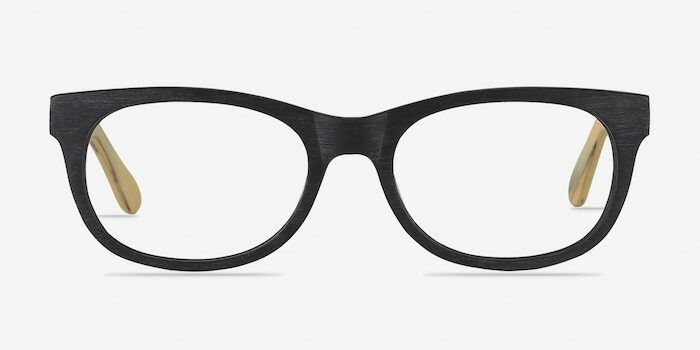 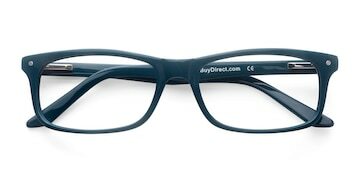 This wood textured frame features a wayfarer shaped frame front in a matte black finish. 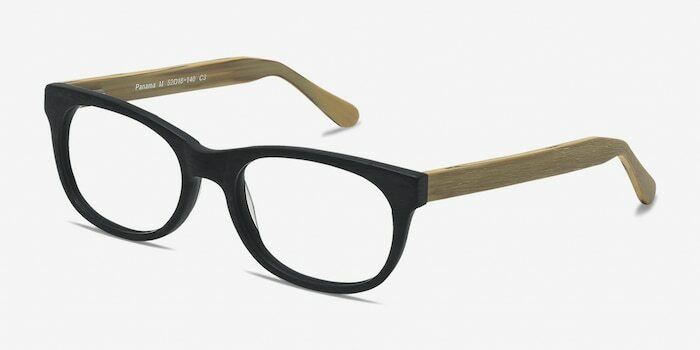 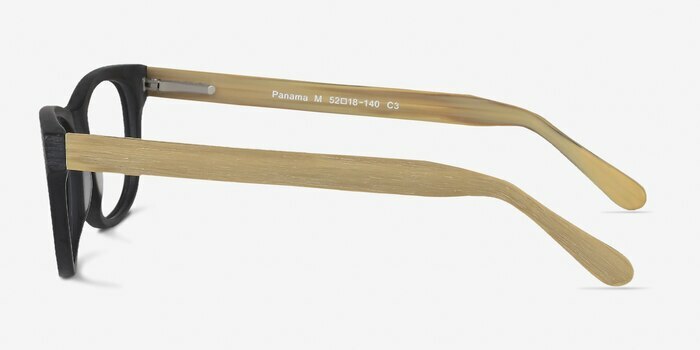 The temples are lightly striated and grained for a wood-like finish. 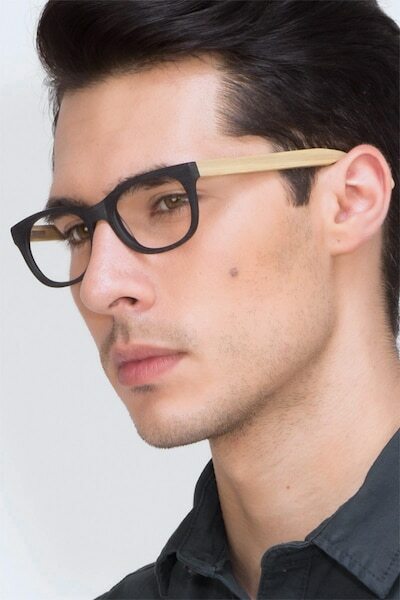 Flexible spring hinges make this universally flattering look suitable for both men and women.